Academics in Deaf education have always been a highly discussed topic. The concern is rather residential schools (schools for the Deaf) truly prepare deaf students at the same rate as their hearing counterpart. The other side if that coin is rather or not public (hearing) schools put effort forth in educating the deaf that attend their schools through on campus deaf and hard of hearing cohort or mainstreamed programs. If you toss in an additional coin the other concern is should the focus of deaf education be on vocational and life skills training to ensure students are functioning in a hearing society. The last side of the coin is for everything else in between. The benefits for Schools for the Deaf is the school is tailored to meet the needs of the students as a whole; socially, personally, academically and vocational. Students are taught in their primary language which enables a better foundation for learning and increase complex concepts that may be difficult to clarify in English. Teachers are knowledgeable and specialize in Deaf education and have the best strategies on how to teach the deaf. Students are able to see Deaf adults as role models like themselves which encourages them to not limit themselves. Students live with others like themselves who have the same method of communication and similar struggles, they can communicate to support each other through the challenges they face. Schools for the Deaf are great for helping a child identify with their “deafhood” and be proud to be Deaf with a Capitol “D”. The drawbacks of a school like this is it can be sheltering because students live in the deaf world on an ongoing basis. It can be biased in the methods and content taught. Some educators outside the deaf community think students are not being prepared for the real world or college academics because of the lack of information students receive. The benefits of students attending a mainstreamed program in a hearing public school is they are learning the same content their hearing counterparts are learning. They have access to resources to support their learning such as an interpreter or a note taker. Most importantly to some is that they are learning to function in a hearing environment and are not sheltered in a small world that can help them to exist in a larger world. I have met parents who say they solely chose mainstream programs because they want their children to learn to function in a hearing world. The disability-the lack of hearing will inhibit them from getting jobs and pursuing higher academics if they don’t learn how to communicate with hearing individuals and they feel mainstreamed programs support that. The drawbacks of a mainstreamed program is if the program is not well established with knowledgable teachers, interpreters and administrators deaf students may fall through the cracks if they dn not have advocates putting place best practices and programs for them. Also, regular administrators, teachers and support staff have no idea of how best to help the student besides general concepts like an Assistive Listening device or sitting the student in front of the class room. There are pros and cons to both environments but what it comes down to is, which is the best environment for the student with the family desires taking a back seat. Which environment will the student be inspired, educated and grow in? This is what a parent should be looking for. Education is a partnership between the parent and the school. In addition, parents should support the student inside school by learning information to advocate on behalf of their child and outside of school by learning sign language to communicate with their child. I believe it is best to have a combination of both academic and vocational education in any setting students attend. Both of these components will help to build a healthy and succesful student who will become a healthy and successful adult. Exposure and information can be the key to feeling more comfortable and accepting to what you as hearing parents and your deaf child may experience. This is a great video sharing perspectives of hearing parents that have deaf children. The video was created two years ago by University of Northridge. This university has a degree program dedicated to Deaf Studies/Education and has a large deaf population attending to obtain degrees. If you are a parent of a deaf child please view the video to gain more insight to American Sign Language and Deaf culture and more so to see the world through your child’s eyes. Sign Language is a Deaf Language not a Gang Language, there’s a difference! 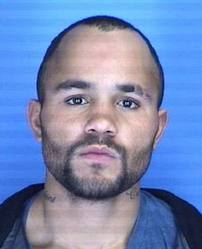 A deaf man by the name of Terrence Daniels was stabbed because gang members thought he was using gang signs. This is an unfortunate event. It reminds me of the world we live in where cruel or uneducated individuals see gestures and mistake them for gang signs. Have they ever heard of American Sign Language??? Maybe not because as an ASL educator I am still defending ASL as a language.The North Carolina Terrence Daniels, 45 was signing with another deaf man and a third person saw the two of them signing and stabbed Terrence Daniels multiple times. Thank God he is in stable condition and made it through the attack and the arrested the man who stabbed him but what is the aftermath of this attack? Will gang members target deaf individuals or will they become more aware of sign language? Will deaf individuals become fearful to use their language freely in public and not worry about someone harming them because they mistake their signs for gang communication? Too many questions and thoughts. I think this further upsets me because in my area there have been two attacks on deaf individuals. I am not sure if the assailants knew they were deaf and purposely preyed on them or they acted out of opportunity either way it is inhumane to hurt another person. Law enforcement managed to arrest the individual responsible for these attacks but it still does not excuse that it happened. My family and I grew up in the inner city. My grandmother would always tell my mother and brothers to sign low, put their hands down or to wait to talk when were in the car. I know she was not embarrassed but afraid of gang members that might mistake my family for rival gang members and this began at an early age. They listened but it did not make them feel confident about their form of communication. When my twin brother became a young man he experienced the very incident my grandmother wanted to protect him from. While at a store with a friend, the two them were signing and gang members saw them and begin to harass my brother and his friend and began to bust my brothers car windows until a resident in the area told the gang member he was deaf and to leave him alone. The guy gestured a warning to my brother and left. Thank you to that person who helped my brother but they never arrested the guy who vandalized my brothers car. My brother learned to be cautious of but never let that incident change how he used his sign, how he felt about hearing people and how he lived his life but it changed me. I make sure to advocate for the deaf community and educate others with a passion because no one deserves to have an experience like my brother or Terrence did. According to the website www.projectcensored.org individuals with disabilities are more likely to be victims of crimes. They estimate about 5 million individuals are victims of serious crimes annually in the united states. How can we decrease this number? How can we protect this unique population? How can they protect themselves? We must be the voice and educate others, the deaf community cannot be afraid to use their language and gang members must be held accountable for harming innocent people. “We” the hearing and deaf communities must stand together and protect each other. I know it’s easier said than done when fighting against individuals who care for no one and nothing and believe in killing and bringing harm to anyone they can but we must be the change we want to see like the person who stood up for my brother. One of my students shared this story with me and my heart was saddened but I understood. This is a must read it is short but it made me think of how much I missed my twin brother. There were so many things in life we did together and when he passed away I did feel a part of me change and I always feel as though a part of me is missing. In Belgium a set of 45-year-old twins who were deaf and becoming legally blind decided to end their lives together at a hospital, they felt they could not live the rest of their lives without being able to see each other. Each us have our opinions of what we would and would not do. However, as individuals we have the right to make our own decisions. It is sad for a person to end their life but it reminded me of the bond between siblings. Also, that these twins were bonded by their multiple disabilities and had made a life together that they could not see living apart or without sight. I think of how some siblings cannot be in the same room together. My thought is to appreciate the people in your life and the bonds you have created you never know when a decision or act may change your lives. A simple I am thinking of you or forgiving a situation to re-connect with family is all it may take. When we don’t have anyone else it is said we will always have family. The first experience of a mother and child is the flutter of movement in our stomach. At that point we realize that we are carrying life is in us and we are now responsible for another human being and within a matter of months he or she will be cradled in our arms. We look forward to perfection as we imagine ourselves counting all ten fingers and all ten toes, looking at eyes as wide as if they are smiling at us because they are familiar with our presence. When the time comes and we deliver our bundle of joy and perfection we can’t wait to teach them everything we know and have experienced so they can grow into the perfect healthy being. Some people may think to themselves “I would never expect perfection just healthy” but what does healthy entail? All ten fingers and toes? Both eyes,hearing, a strong heart and lungs, and a sound and capable mind? What happens when something is not healthy, normal or perfect like we want? How do we feel and what do we do? The first moment your realize that your child does not respond to sound and may be deaf, what do you do? Create the sound again to be sure, think a hundred thoughts of what “if’s” or call your physician? You want to know what’s going on and when you find out your greatest fear/concern of your child being deaf is confirmed, you are speechless and cannot understand what happened. If you have never experienced deafness, the language and culture your mind is wondering what is it and what does it involve. This may not be the experience for every parent but a number of parents have experienced this and looked to guidance for this situation. Deafness is not a disabling, limiting or negative experience with the right tools children can grow into the perfect and healthy beings you seek to raise. Being deaf may be a challenge at times but not an obstacle that can’t be overcome. 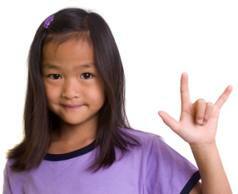 When you first find out your child may be deaf it is best to see an audiologist. However, commonplace now is for infants to undergo a hearing test for early detection of hearing loss. After the audiogram confirms the amount of hearing loss and the amount of what can be heard a decision may need to be made. Sometimes the hearing loss can be assisted with the use of hearing aids, or partially restored with a cochlear implant and the other end of the spectrum it may be too great of a loss and not be able to be restored. I am not a doctor but sharing information that I have encountered. It always best to seek a professional opinion as this blog is for basic informational purposes. When you find out your child has a hearing loss seek all opportunities that may be best for your child however do not forget about seeking professionals in the Deaf community. The Deaf community can be one of your greatest resources. You can learn about the opportunities available to your child academically and socially, the language and culture. Sometimes parents listen to only one side “the medical side” and forget to listen to the “deaf side”. Your child can live in both worlds. Communication is key! No matter what it is important to find a way to interact with your child rather you focus on speech classes or sign language your child will need consistent interaction with language. I think it is great to teach children both speech and sign language but the choice has to what is best for your family. There are mainstreamed school where they attend classes with their hearing counterparts and residential/day schools with programs geared for the deaf population. Employment opportunities are available to deaf individuals and it has been shown that there are successful deaf individuals activities, educators, lawyers, entrepreneurs and more…these individuals had support, faith and belief that they could be do what they put their mind to and they have accomplished greatness. If you are seeking additional resources your local social service agency, medical organization and education system should be able to give your resources to point you in the right direction. The thought for this blog is to remember that we love our children unconditionally and despite the challenges we may encounter we seek the best for them and encourage them to be their best. Always think of the word “ability” instead of “disability”. We have five senses: sight, smell, taste, hearing and touch. What sense could I live without?? The answer is a no-brainer, it would be hearing. Maybe I am a bit biased because of my background and experiences but it is what it is. There are two worlds: the hearing world and the deaf world. The hearing world relies on their ears and the deaf world relies on their eyes. I am already living in a world where silence makes no difference in life, the deaf world. Actually, I live in both worlds. As a hearing person I live in the hearing world but as a child of deaf adults I live in the deaf world too, this is a privilege. Growing up in a family of deaf individuals and acquiring sign language skills, I have never thought of my hearing as a necessity which is why I don’t have to think twice about living without it….it would be an easy choice. In the deaf world sound is not important because the world I live in we are visual and expressive beings. I know we can enjoy sound through touch, feeling vibrations move your body and soul all without sound. We can enjoy sound visually like a work of art that stirs your spirit and causes your mind to think about all the possibilities of what you could do with that picture or sign. If you remember the saying ” A picture paints a thousand words” American Sign Language (ASL) can be as descriptive and beautiful as a picture. During conversations ASL paints a picture that is so clear a non-signer could understand one part or another. I could go on and on about the benefits of ASL and why it is such a great langauge but the point is to support why my hearing would be the first choice I would live without. I never said living without the sense of hearing would be easy. I am sure people can think of many reasons why that is a necessity and I may agree with most but it is an individual opinion. All I can share think of the opportunities available that would allow a person to function which is how I think. Of course, ASL would be my first choice instead of the other opportunities but that is another blog. In closing, my hearing is a non-factor because I have a method of communication that would allow me to function in a hearing society. I have a community separate from the hearing world who would accept me as I am. I would have an identity to be proud of…deafhood… to embrace who I am as a deaf individual. Besides, there are so many things in this world I could go without hearing…that would actually be a blessing to not hear half of the stuff I hear on a daily basis. What sense could you live without? The American with Disabilities Act is vital to people with disabilities. Although, deaf individuals do not consider themselves disabled they are included in this Act. 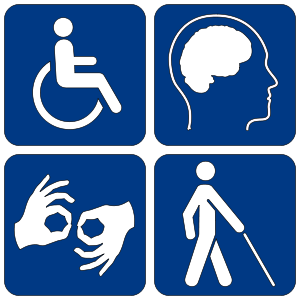 The ADA prohibits individuals and/or businesses from discriminating against a disabled individual in forums of public accommodations/stores/businesses, employment, state and local governments and telecommunications. These sectors must provide reasonable accommodations to disabled persons depending on the disability and circumstance. Some of the most common accommodations that are well-known is the use of an American Sign Language Interpreter, Closed Caption on media devices such as T.V.s, and Teletype communications devices on public phones but more commonly used now are videophones. If you are a person with a disability please become familiar with the ADA Law as it is a good resource and form of protection for you.The world we live in there are still companies and individuals who are not familiar with ADA when dealing with persons who have disabilities. They are not aware of the reasonable accommodations they must provide. If you take the time to educate yourself, you can educate others to be able to help provide you with equal opportunities/access and services as the hearing and non-disabled communities receive. An example of the lack of education on the behalf of organizations is my twin brother who was deaf died at the age of 32 of congestive heart failure. The last year of his life I became his care provider although I had somewhat been a provider to him all of our lives as the only hearing child in the family. That role was fine for me growing up and remained the same until the day he passed. My brother was somewhat familiar with the ADA and utilized his rights when necessary but as he became more ill it was a challenge to stand against a hearing world. My brother entered hospitals frequently, there were several hospitals where we were well-known. One in particular because we had to go through several levels of management to have an interpreter placed at the hospital. This stemmed from doctors and nurses giving my brother medicine and explaining vital procedures without an interpreter. The hospital felt he could read the information they wrote on a tablet (which I kept all the tablets) but this was not good practice because they assumed he understood what they wrote and if something medically negative happened it would be their responsibility. There have been times as an educator with a higher level degree where I do not understand medical lingo and need to retrieve a dictionary or ask the doctor to explain it in layman’s terms. Therefore, relying on written communication is not the best choice. Since written communication was not successful, the hospital asked if I could be there during certain times to interpret information, I am a full-time employed teacher, wife and mother, I would do anything for my brother but there are times my schedule would not permit. So what did I do, you might wonder. I moved up the chain of command, we had a discussion as nice as possible about ADA and I shared documentation and the next day my brother had an interpreter (reasonable accommodation). The interpreter was not there around the clock but the nurses/doctors knew to share important information when either the interpreter or I was present to ensure my brother had access to communication and knowledge of health related topics. I am grateful I could make a difference for him and help him obtain communication by advocating on his behalf. To sum it up, knowing your rights makes a difference. I do not encourage abuse or bullying when using the ADA and asking for unreasonable accommodations. I encourage using the ADA when it will provide equality in communication, access, and all other forums that will support the disabled population in being successful and capable of living a limitless lifestyle. Below are resources that you can view for more information about the American with Disabilities Act with an emphasis on the Deaf population.